Celebrate the 2018 grape harvest by exploring Napa Happy Hour options, whether or not you actually worked this year’s harvest. Maybe you don’t feel like cooking, or you just want to go out and have fun with friends. 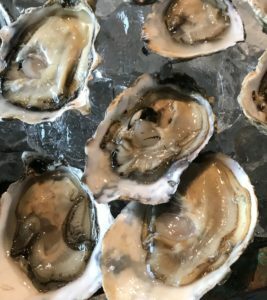 Regardless of the reason, the city of Napa actually has about 40 places to go for Happy Hour so there’s bound to be a place with drink and/or food specials you’ll be excited about. 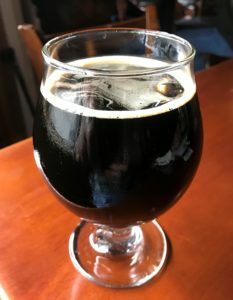 During the summer, we posted an article about 21 downtown Napa Happy Hour destinations. Now, we’re here to talk about the many other choices within the city limits. Ready for a beer? You’ll find both draft and bottled beers for just $4 at Il Posto Trattoria and NapaSport. More interested in wine? Then you should check out The Q which has all glasses and bottles of wine at 50% off during Happy Hour. You’ll find well drinks for just $4.50 each at Hop Creek and $5 each at Alba. Premium Call Drinks are $6 at Fumé Bistro if you start with Jack Daniel’s, Tito’s or Hendricks, or $7 each at Trancas Steakhouse if your preference is Belvedere, Tanqueray, Crown Royal, Seagrams VO or Canadian Club. 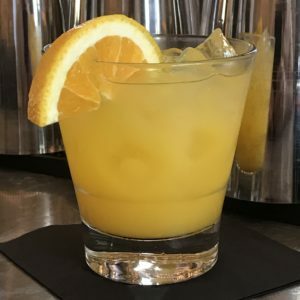 Mimosas are $5 at The Grill at Silverado, House Margaritas are $5 at Frida’s Mexican Grill and Caipirinhas are $7 at Galpão Gaucho. Or, maybe your schedule works out well for the Progressive Margarita at Compadres: $3 per glass and $15 per pitcher from 3-4 pm, $4 per glass and $20 per pitcher from 4-5 pm, and $5 per glass and $25 per pitcher from 5-6 pm. For appetizers, at Napa Happy Hour restaurants you’ll find classic Happy Hour offerings on the menus: Nachos, Fried Calamari, Chicken Wings, Guacamole, Garlic Fries, Meatball Sliders and Pizzas. 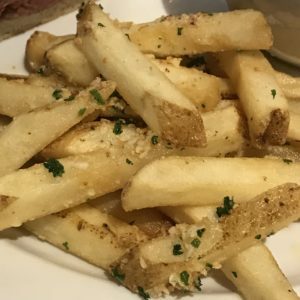 But, since this is Napa, you’ll also find dishes such as Grilled Shishito Peppers, Bacon Macaroni and Cheese, Patatas Bravas with Lemon Aioli, Spicy Mussels, and a Mushroom, Goat Cheese and Caramelized Onion Flatbread. 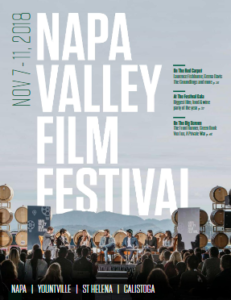 The official program guide for the 2018 Napa Valley Film Festival was recently released and if you’re a fan of film festivals you should seriously consider attending. What makes a film festival special is the live participation of writers, directors, actors and producers in Q&A sessions following practically every screening. If you enjoy excellent films, great wine, and outstanding food, then you will find ways to enjoy all three of them at the Napa Valley Film Festival (NVFF) between November 7-11, 2018. Many things are the same this time (Special Opening and Closing night films, Celebrity Tributes, Award Ceremonies, the annual Gala and the Friday Night Bash). But, there are also some changes this year for the 2018 Napa Valley Film Festival: a new festival hub site for Napa, a new location for the Friday Night Bash, SommSelect wine tastings during the Gala, and new screening venues including a Drive-In! Keep reading and we’ll try to convince you to grab that credit card and start ordering right now. Reason #1 to attend the NVFF: The movies, starring past and future Oscar Winners! 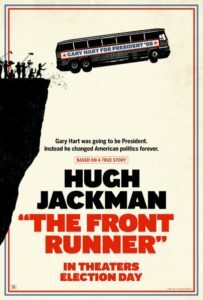 The 2018 Napa Valley Film Festival will include showings of The Front Runner, a narrative recounting of the rise and fall of Senator Gary Hart (starring Hugh Jackman, Vera Farmiga and JK Simmons), Vox Lux, a story of personal and professional challenges faced by a pop superstar as she grows from teenager to mother (starring Natalie Portman, Jude Law and Willem Dafoe), and Robin Williams: Come Inside My Mind, a documentary exploring the career and personality of Robin Williams (featuring interviews with Billy Crystal, Whoopi Goldberg, Steve Martin, Pam Dawber, and Robin’s son Zak Williams). Beginning Friday, October 19, the Cameo Cinema in St. Helena has exclusive theatrical pre-release rights for special SOMM 3 screenings. 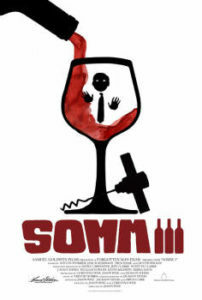 This is the highly anticipated third of a series of documentary films about sommeliers and the wine business. 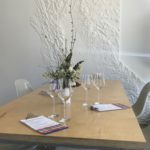 After each showing, you’ll be able to participate in a Q&A session with the film’s Producer and Director, possibly accompanied by a sommelier featured in one of the SOMM movies. Certain showings will also feature wines from producers such as the Boisset Collection, Chappellet or Pine Ridge Vineyards. It’s highly recommended to buy online tickets in advance before the showings sell out. You’ll have your choice of up to three shows daily, at 2:00 pm, 5:00 pm and 7:45 pm, from October 19 through October 25. Ticket prices are $20 each and that includes a wine reception before the showing. Producer & Director Jason Wise will attend each screening, speaking briefly to the audience before the film starts and then conducting a Q&A session afterwards. Sommeliers expected to co-host the 5:00 and 7:45 pm screenings with him are Jay James (MS, Guild of Sommeliers) on 10/19 and 10/20; DLynn Proctor (Fantesca) on October 20 and 22; Brian McClintic (MS, Viticole Wine Club) on October 21, 22 and 25; Raj Parr (MS, Domaine de la Cote) on October 22 and Matt Stamp (MS and Guild of Sommeliers) on October 25. Wine Educator and Consultant Karen MacNeil will co-moderate with Jason on Saturday (10/20) and Sunday (10/21) at 5:00 pm. Grab your phone and friends because it’s time to plan a Sonoma County trip for the 2018 Wine & Food Affair on November 3rd and 4th. That weekend, around 90 wineries will be waiting for Foodies, Cooks, and Wine Lovers (or people who are all three) to come taste their wines, with each location preparing a special dish to sample along with the perfect wine. This is the 20th anniversary for the event, so you know it’s a good one. 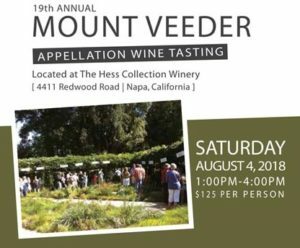 This is a perfect opportunity to revisit the excellent wineries in the Alexander, Dry Creek and Russian River Valleys, but the event does sell out each year so please plan quickly. Part of the fun of Wine & Food Affair is whenever you find a combination you like, you can buy the wine right there (possibly at a discount) and then go home and recreate the experience because the event’s website will have the recipe for each winery’s dish. 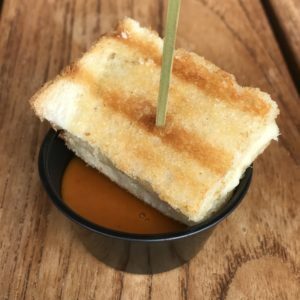 Last year, our favorite food and white wine pairing was the Sonoma-Cutrer Vineyards “The Cutrer” Chardonnay matched with a Sourdough and Gruyere Panini with Heirloom Tomato Soup. 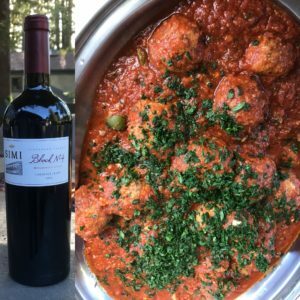 Our preferred red wine combination was the SIMI Winery “Block 4” Cabernet Franc with a Meatball Puttanesca. But, the Rodney Strong Vineyards Reserve Cabernet Sauvignon pairing with Angus Beef Brisket was a very close contender. 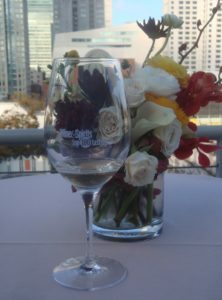 Our favorite wines poured during last year’s event included Chardonnay, Sauvignon Blanc, Pinot Noir, Dolcetto, Grenache, Sangiovese, Cabernet Franc, Merlot, Cabernet Sauvignon and Zinfandel. So, you’re bound to find quality wines no matter which varietal(s) you prefer. We were also instantly enamored with the mR Rhone White Blend (Marsanne, Roussanne) at Trattore Farms, the Boar’s Camp Cuvée (Grenache, Syrah, Mourvèdre) from Sanglier Cellars, the Tuscan Cuvée (Cabernet Sauvignon, Sangiovese) from West Wines, and two Cabernet Sauvignon-based blends from G & C Lurton Vineyards: the Acaibo and the Amaino. We have been huge fans of Robert Craig Winery since its first vintage back in 1992. Founded by Bob Craig and his wife Lynn, the winery is nestled amongst a beautiful vineyard atop Howell Mountain in Northeast Napa Valley and it is actually the highest-elevation winery on Howell Mountain. 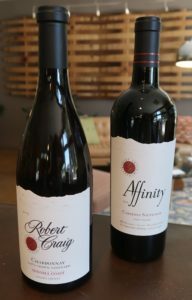 Robert Craig Winery is primarily known for producing quite literally “elevated” Cabernets of distinction so if you love wines made from mountain-grown fruit, we feel no winery does it better than Robert Craig Winery. 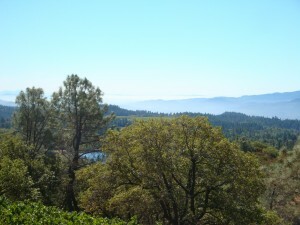 Bob Craig has long been a lover of wines made with mountain-grown fruit. In fact, Bob was a key player in the formation of the Mount Veeder and Spring Mountain Appellations and began farming on Mount Veeder in 1979. Today, although rooted in the winery’s Howell Mountain estate, Robert Craig Winery produces amazingly expressive wines from the Mount Veeder, Spring Mountain, Diamond Mountain, Napa Valley, Sonoma Coast and Howell Mountain Appellations. 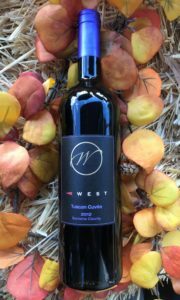 Almost all of the fruit is grown in vineyards with some serious elevation all the way up to 2,300 feet and all of the vineyards from which Robert Craig Winery sources its fruit produce very low yields per acre. In fact, approximately one half the yield of the average Napa Valley vineyard. Over the years, Robert Craig Winery has transitioned from around 25% estate-grown fruit to now over 85% estate-grown for their annual production of approximately 9000 cases. 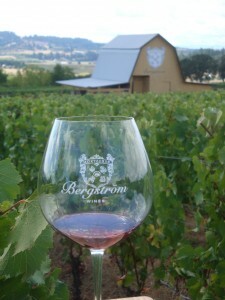 While the wine portfolio has broadened, the focus of the winery has remained what Bob Craig set out to do: introduce people around the world to the unique intensity of mountain-grown Cabernet Sauvignons from the Napa Valley.